It’s not the end of the World, but it’s never good to report news of an injury to a top prospect. 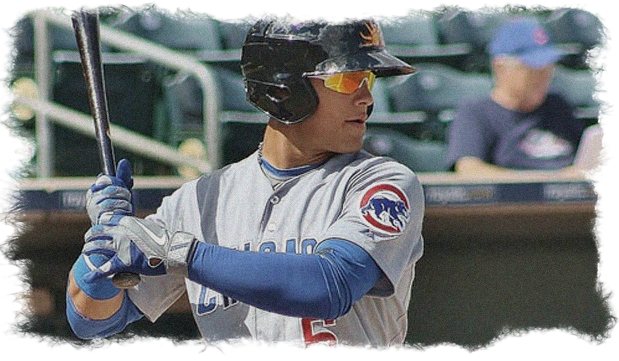 Javier Baez was removed from Saturday’s AFL game, and reports are that he will miss the remainder of the AFL season now with a possible broken left thumb, the tip of the thumb specifically. It’s been a long 2012 for Baez as he destroyed MWL pitching with the Peoria Chiefs, then struggled with the transition to the Daytona Cubs, then produced at a ridiculous rate for the Solar Sox in the AFL but saw his average drop off. In the grand scheme of things Baez will not miss much baseball, the only thing he will miss out on is some development time with the Solar Sox in Mesa. 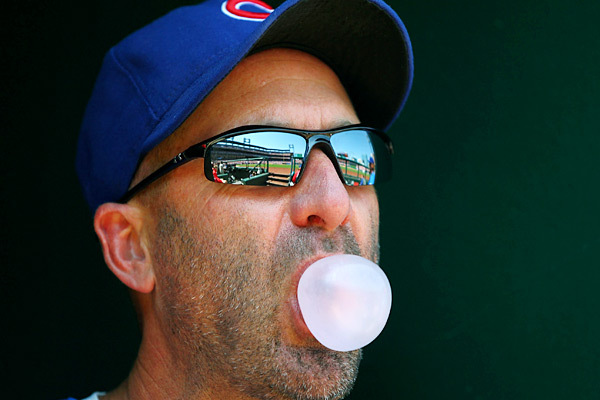 He should be all set to go in 2013, odds are that he will start the 2013 campaign with the Daytona Cubs. There wasn’t much to celebrate this year as a Cubs fan, one thing you can hang your hat on is the outstanding defense from Darwin Barney. 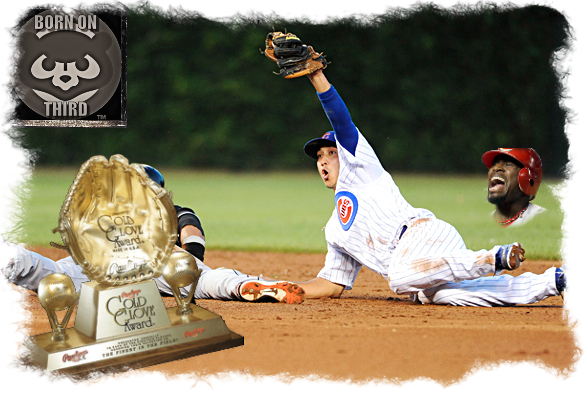 Today that defense was recognized as MLB awarded Darwin Barney the gold glove at second base in the National League. Barney is the first Cubs player to win a Gold Glove since Derrek Lee in 2007, and is the first Cubs second baseman to win the award since Ryne Sandberg in 1991. Barney’s season was highlighted by a record tying 141 straight games without an error, which tied a Major League single season record, Barney made just two errors and posted a .997 fielding percentage. Congrats Darwin! Author bornonthirdcubsPosted on October 30, 2012 October 30, 2012 Categories 2012 Regular SeasonTags 2012 MLB Gold Glove Awards, Brandon Phillips, Darwin Barney Defense, Darwin Barney Gold Glove2 Comments on Darwin Barney, Gold Glover! When things are going well teams find ways to win, especially in games where they aren’t their best, or don’t deserve to win, this is the opposite of that. The Mesa Solar Sox are beyond struggling and this latest loss pretty much sums up the first 13 games this season. Things were going well enough for the first seven innings as the Solar Sox held a 3-0 lead heading to the 8th inning. The Scorpions scored once in the 8th and three times in the ninth to walk away with a 4-3 victory, what’s worse is the blown save and loss were registered to Cubs prospect Kevin Rhoderick. Rhoderick pitched the ninth inning and didn’t have anything working as he allowed three runs on two hits while walking one and striking out one. On the bright side Nick Struck had a dominant performance, he worked two innings and struck out three without allowing a base runner. Matt Szczur had a decent day at the plate going 1-for-4 with another walk and a run scored. Rubi Silva was the only other Cubs position player to get into this one as he went 1-for-4 in the loss. The Chris Volstad era in Chicago is over. Yesterday the Royals claimed Volstad from the Cubs off of outright waivers. The fact that Volstad was put on outright waivers shows exactly what the Cubs thought of Volstad after a horrendous season. Some speculated that Volstad would be given a chance to compete for a spot in the 2013 rotation, that obviously won’t happen now. Volstad will join his third organization in three years (Marlins, Cubs, Royals) after being acquired for Carlos Zambrano last offseason. Dale Sveum has rounded out his coaching staff for 2013 yesterday, he removed the interim tag from hitting coach James Rowson, and added David Bell to the staff as the third base coach. Bell, 40, managed in the Reds’ Minor League system the last four seasons, most recently guiding the Triple-A Louisville club in 2012. Prior to Louisville, Bell was the manager for Double-A Carolina from 2009-11. The ’09 season was his first as a manager or coach at the professional level after a 12-year Major League career, which ended in 2006. A former infielder, Bell batted .257 in 1,403 Major League games for six different teams — the Indians (1995, ’98), Cardinals (1995-98), Mariners (1998-2001), Giants (2002), Phillies (2003-06) and Brewers (2006). Sveum was Milwaukee’s third-base coach in ’06. So David Bell fills the role of what Ryne Sandberg would have been if he was still in the organization in my opinion. I like adding Bell to the staff, he’s only six years removed from playing in this league, and was always one of those smart ball players, hopefully he brings a lot to the development side of this team. I also think having Rowson stick around as the full-time hitting coach makes sense, the results might not have been there for everyone but no use in bringing in someone new before Rowson can have a full season to work with players. Those weren’t the only moves yesterday as the Cubs announced that assistant GM Randy Bush has been given a three-year contract extension. Bush was the assistant GM under Jim Hendry in 2011 and is in the good graces of Theo Epstein given how much he helped Epstein with the transition to President of Baseball Operations. Cubs.com has the other moves announced. The Cubs also announced Louie Eljaua has been promoted to special assistant to the general manager and director of international scouting. Paul Weaver, who was the director, will now be an international cross-checker and coordinator for the Pacific Rim. Alex Suarez was promoted to assistant director of player development. The team also said Mark O’Neal, the Cubs’ athletic trainer since 2004, will stay with the organization but in a different role. Hey, at least it’s not a loss, right? The Solar Sox showed some life in this one as they led Phoenix 6-2 in the seventh inning. Unfortunately the Solar Sox chucked that lead, only a run in the ninth saved this from being yet another loss. The two teams called it quits after each went scoreless in the 10th and settled for a tie. Dae-Eun Rhee got the start for the Solar Sox and the Cubs prospect pitched well, he gave up two runs on six hits in 3.2 innings. Tony Zych also made an appearance for the Solar Sox, and he was outstanding again, tossing a scoreless 1.2 innings while giving up three hits. Javier Baez was the only Cubs position player to get into the game today, and it was another clunker. Baez finished the day 1-for-5 with an RBI at the plate, but made two more errors, that brings his AFL total nine, and he’s only played in ten of the games. Mesa came storming back to tie the game in the ninth with a two-out single off the bat of Matt Szczur. Unfortunately Salt Lake won the game in the bottom of the 10th. Szczur ended the game 2-for-5 with an RBI and two stolen bases. Rubi Silva was back in the lineup, hitting second and playing RF. Silva did not have a hit, but stole his third base of the season. Javier Baez also got another start and went 1-for-5 with a run scored. Both Kevin Rhoderick and Nick Struck pitched scoreless innings, with Rhoderick striking out two.